This style of pocket opening is not covered by Tereson’s patent. It can be confusing for newbies to cloth diapering, but a pro can handle it! A big benefit for this type of opening is you do not have to pull out the soiled inserts before washing. They agitate out in the wash, or flip out if you use a front loader. 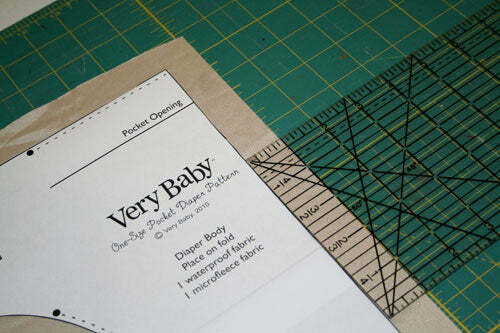 Using the Very Baby One Size Pocket Diaper Pattern cut your waterproof layer out on the fold as directed and set aside. 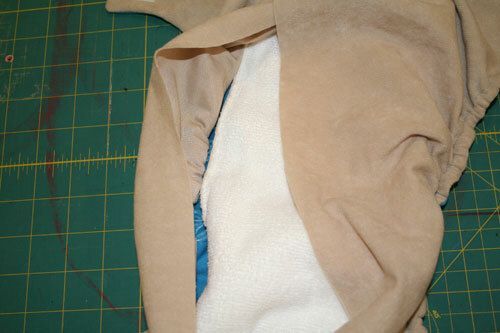 Cut your microfleece layer (I’m using suedecloth here), on a flat piece (not folded) of fabric. You’re going to move it 1? from the edge and cut it out. 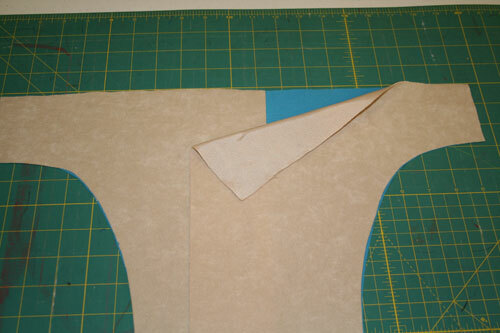 Be sure to flip the pattern piece over when you cut out the second piece if your fabric has a ‘right’ and ‘wrong’ side! 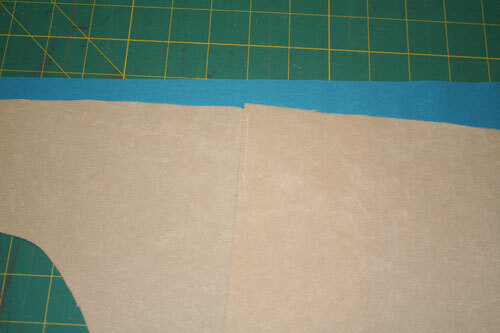 You can finish the long straight edges of your microfleece layer if you wish but it isn’t necessary as neither microfleece or suedecloth will fray. 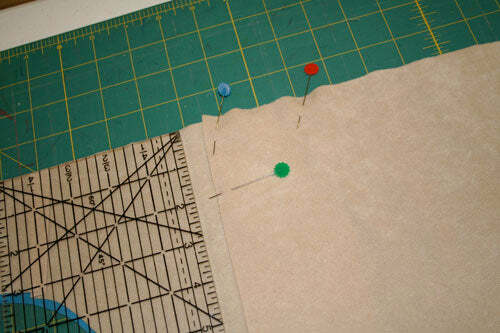 Pin the overlapping layers together (don’t pin through your waterproof layer!) and mark about 2? down with a pin*. Repeat for the other end. 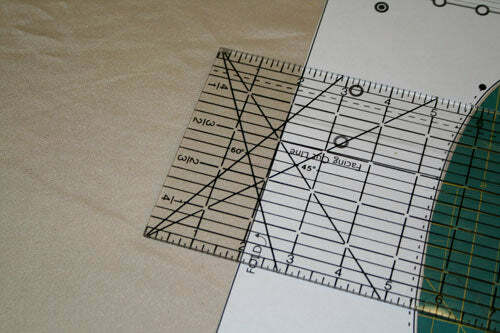 You’re working on the right side here, if your fabric has one. *After making one like this, I think you ought to mark 3? down. Right side up, stitch down to your 2? marking on both ends. 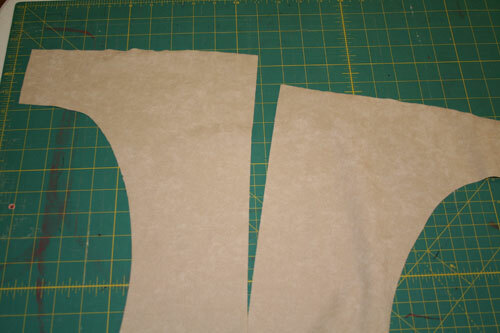 Pin the opening shut and layer right sides together with your waterproof piece and follow the rest of the directions in the pattern to complete your diaper. 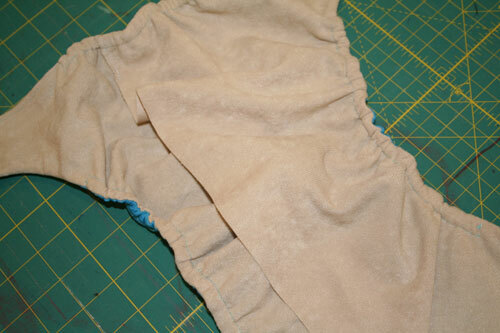 Here it is with a microfiber insert inside, all ready to use. Just smooth down the flaps and place the diaper on your baby. His bottom will keep the flaps in place; he’ll stay dry and then when you wash the diaper the insert will fall out on its own in the washing machine.